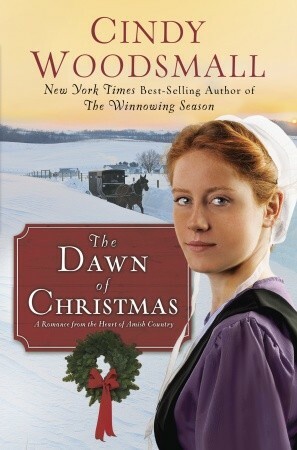 I had the privilege to read Cindy Woodsmall’s latest book, The Dawn of Christmas, over the Christmas break. Cindy takes the reader to the center of Amish Country in this heartwarming tale through the eyes of Sadie. On the eve of her wedding she is faced with a difficult decision, marry a man who lies or face living her life alone? Sadie’s choice takes her away from her family, but is brought back later in order to please her parents. Once she returns she discovers an injured man, Levi, and must determine whether a friendship with him is safe. As their friendship grows the question then changes to whether either one of them is really ready to open up to the possibility of love. Will Sadie’s ex-fiancé come back into the picture and ruin everything? This is a fantastic story with such lovable characters that you are swept away within a few pages. I would recommend picking up this book for a snowy day. In light of the new study that will be starting next week at Maryland Community Church and highlighted on my Monday and Wednesday blogs, I am going to be giving away 2 copies of the book, What Happens When Women Say Yes to God. All you need to do to enter is leave a comment on my blog and/or sign up to follow my blog all this week. I will announce the winners on Friday, January 3rd. Hi Jamy! Think I might be the first commenter today! I have been reading your blog quite some time! Always appreciate your honest posts about real life issues that effect us all! I occasionally pop over to encouragement cafe when you post there! I will always remember the first time I got an email from you responding to my comments during the SLL OBS (I believe) lifting my grandson up in prayer and asking if you could pray for me. Your prayers meant a great deal to me that day and I actually was surprised by your quick response. Please know that you were God’s message of love to me that day! May your New Year be blessed as we celebrate Christmas…the birth of our Lord and Savior Jesus Christ, every day! Your response blessed me beyond words. There are times when I am writing blogs, working on my book or responding to email comments that I wonder whether what I am doing makes a difference. Even though most of us do not receive feedback like I did from you, we still need to continue doing what God has called us to do. Thanks again for your touching words. I pray that you have a wonderful 2014.